Rothrock State Forest staff hosted a public meeting on July 10, 2018, to discuss recreation and recreation trails in the district. A topic of discussion was the Recreation Trail Assessment (PDF). Questions or comments about recreation, trails, or the assessment may be emailed to the Rothrock State Forest district office. DCNR’s Bureau of Forestry is in the process of revising the Rothrock State Forest Resource Management Plan (SFRMP). A district-level state forest management plan is written for each of the bureau’s 20 forest districts across the state. The staff of Rothrock State Forest hosted a State Forest Resource Management Plan public meeting (PDF) on Thursday, November 8. Citizens may view the newest draft of the Rothrock SFRMP (PDF). View Rothrock State Forest’s 2019 management activities (PDF) for upcoming projects and events to implement the State Forest Resource Management Plan. 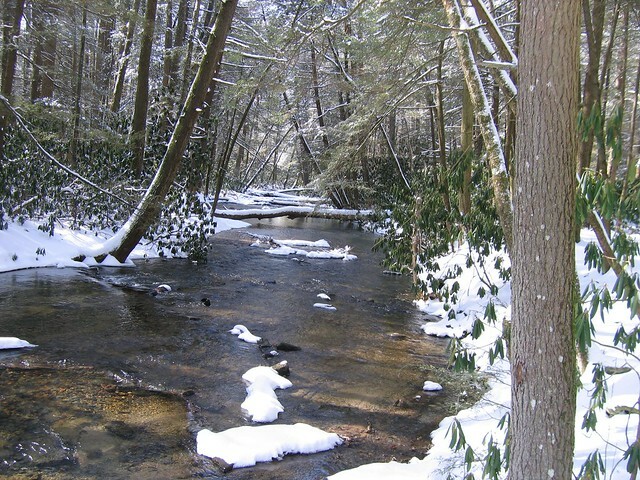 Pennsylvania’s 2.2-million-acre state forest system is one of the largest certified forests in North America. The forest is certified (FSC-C017154) under the Forest Stewardship Council™ standards. The FSC® is an independent organization supporting environmentally appropriate, socially beneficial, and economically viable management of the world’s forests.